Ruffwear make outstanding dog gear. So many of our customers come back time and time again to purchase Ruffwear gear for their mates. Emails like the one below are not at all unusual. But they always make me happy! This photo is a testament to the longevity of these Ruff Wear products. I bought the Web Master harness at the end of 2014 – the first pic in which it appears is on 31 January 2015. It looks bright and shiny in the early days of my Boxer girl’s degenerative myelopathy. She wore it daily until she left me at the end of February 2016; including in her wheelchair for several months. 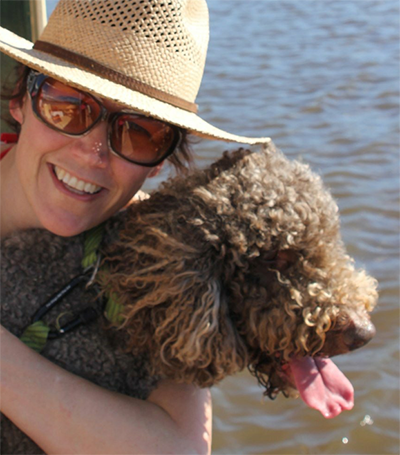 It was invaluable in enabling me to move her around – in and out of the car, up stairs etc as the disease progressed and she was unable to weight bear on her rear. An absolute blessing! But then, of all things, my other Boxer girl also developed DM and the harness came into its own again and she wore it from mid-2017 until, being a longer dog, she needed a Help-Em-Up harness seven months later. Although, as you can see one seam has parted, I can still use the harness on my Boxer boy. He also has a Front Range Harness. It has been remarkably hardy don’t you think? As to the shoes – worn by both girls on their rear feet daily for months in their wheel chairs. There was a bit of Shoe Goo applied at one time🙂. I misplaced the shoes and bought a second pair but found the first pair so still have a pair virtually unused! And your service was excellent – I had trouble fitting the boots and we had to send back and forth a couple of times. The secret in the cart in later days was to turn the shoe over so that any dragging was on the stronger part – the sole – hence the excessive wear on the top of the sole. I thought you might like to know how much I appreciated the items. “All of our products are rigorously field tested and we proudly guarantee against defects in materials and craftsmanship. If you have received a Ruffwear item that you suspect has a defect, please let us know by completing the form below. 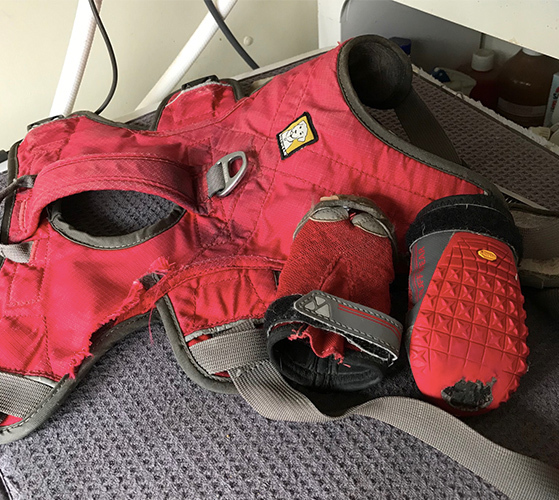 PRETTY MUCH WITHOUT EXCEPTION I HAVE BEEN ABLE TO SORT OUT ANY PROBLEMS ANY CUSTOMER HAS EVER HAD WITH RUFFWEAR GEAR PURCHASED FROM US IN THE LAST 10 YEARS. This gives me exceptional confidence selling Ruffwear. I know I am selling quality. This gear is backed up with an incredibly solid performance promise. March 23, 2019 | Filed under Uncategorized.